Remain behind the mat or behind the head when it is not your turn to play. Always remember that as soon as your bowl has come to rest, possession if the rink passes to your opponent. Keep to your own rink. Do not become a wanderer and distract other bowlers. Walk down the centre of your rink when you are changing ends. Try to avoid obscuring boundary pegs and rink markers. Never criticize your opponent, the greens, or your own team members. If you cannot say something positive, don’t say anything at all. Pay attention to the game. Nothing can be more frustrating to your teammates than to have them feel that you are not giving your full attention and best efforts to the game by your lack of concentration. Save your socializing until after the game. Stand well back from the head when drive shots are about to be played and warn others on adjacent rinks. Casual dress (top and bottom) for all club draws, tournaments and events. 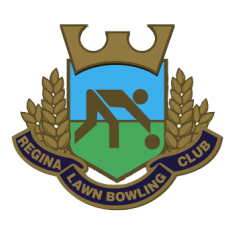 See Bowls Sask Dress Code and Bowls Canada Boulingrin Dress Code when competing in provincial or national events.